THE CHARACTERS RUBY MANUEL CREATES IN HER NOVELS DISTINGUISH INFLUENTIAL GROUPS OF MIDDLE AGED WOMEN. IT TAKES COURAGE TO LIVE A LIFE TRUE TO YOU TO RESIST TO CONFORM TO WHAT OTHERS EXPECT OF YOU. Writing has helped Ruby Manuel to overcome fear and trust related issues associated with her life struggles as a result of early childhood abuse. 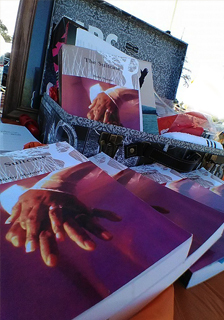 Ruby Manuel’s writing now is the power and wind in the sails of so many who read her works. “The Suitcase is an intense, juicy, and emotionally charged novel. It is filled with suspense and mystery. "Yes one day we all will crash Into the seashores of eternity So today let’s ride the waves Of life's beautiful sceneries until the earth moves from beneath our feet." After collaborating with the Godfather of Urban theatre (the late great) Mr. Shelly Garrett himself on her very first theatrical stage play Ruby Manuel went on tp produce her second and now her 3rd stage play. The Play is based on her novel “The Suitcase!" 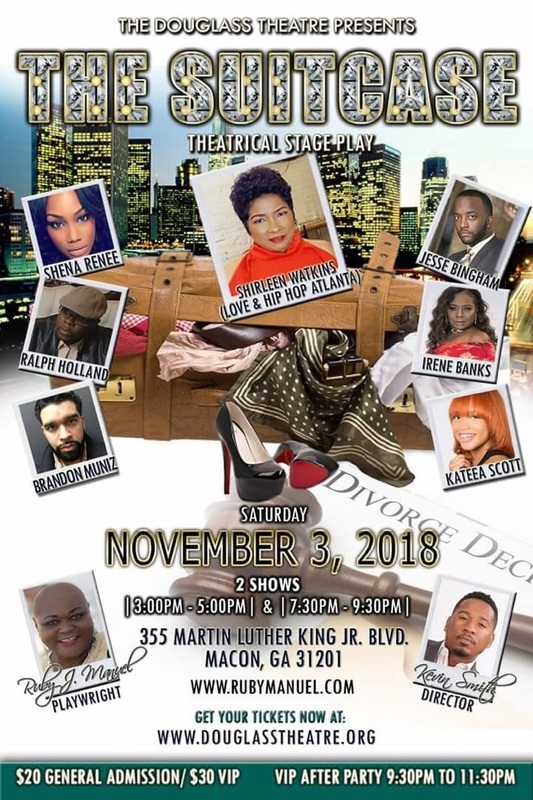 She has teamed up with Kevin Smith (Director) and Herschell Harvel (Marketing manager/promoter) to bring you, the audience a great show, Please join us on November 3, 2018.